Our team has over twelve years of experience with Telecom, Genesys CTI and Cisco ICM integration development. 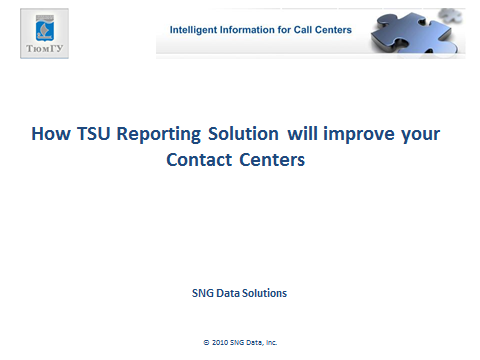 We are specializing in implementing end-to-end contact center reporting solutions. We provide customized software solutions for companies operating telecommunications contact centers. Our advanced product portfolio and range of services cover reporting for Genesys (CTI) and for Cisco ICM and IPCC environment. 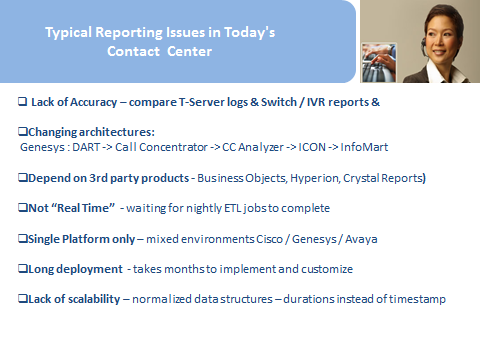 We are offering a very unique Genesys/Cisco Reporting solution that allows 100% real-time and historical reports customization. 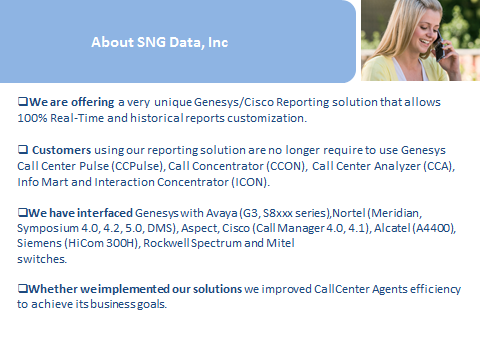 Customers using our reporting solution are no longer require to use Genesys Call Center Pulse (CCPulse), Call Concentrator (CCON), Call Center Analyzer (CCA), Info Mart and Interaction Concentrator (ICON). Tyumen State University has interfaced Genesys with Avaya (G3, S8xxx series), Nortel (Meridian, Symposium 4.0, 4.2, 5.0, DMS), Aspect, Cisco (Call Manager 4.0, 4.1), Alcatel (A4400), Siemens (HiCom 300H), Rockwell Spectrum and Mitel switches. 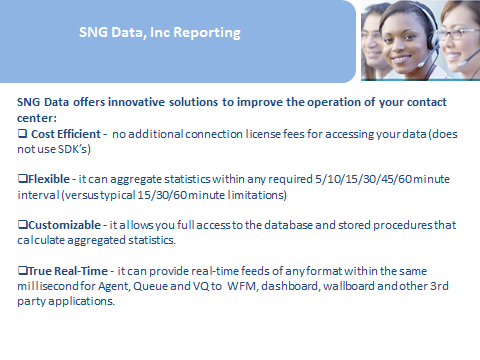 Whether we implemented our solutions we improved Call Center Agents efficiency to achieve its business goals.